23andMe receives approval from the FDA to market its genetic health risk tests for 10 diseases, including celiac, Parkinson’s, and late-onset Alzheimer’s. The approval – the first for a home DNA test – is no doubt being celebrated by the Google-backed startup, which stopped giving consumers health analysis information in 2013 after an FDA slap on the wrist. The company received approval two years later to disclose a person’s carrier status, and has since been largely providing results to consumers seeking answers about their ancestry. This week on HIStalk Practice: The AAFP creates the Center for Diversity and Health Equity to study social determinants of health. The National Governors Association selects seven states to participate in rural health collaborative. MTBC debuts analytics for ACOs. 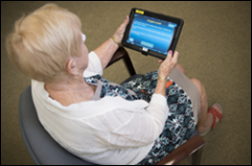 Arizona Connected Care selects referral management tech from Fibroblast. CVS Health awards $1 million to 33 health centers. New report sheds light on physician compensation. 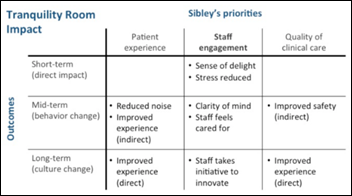 American Society of Sleep Medicine studies patient receptiveness to virtual consults. Nancy Gagliano, MD helps readers strategize for MACRA. PHI protector CloudVault Health closes a $2.6 million Series A funding round led by investors that include Rudish Health Solutions. President Richard Nelli came to CloudVault in 2015 after a two-year stint at Streamline Health. 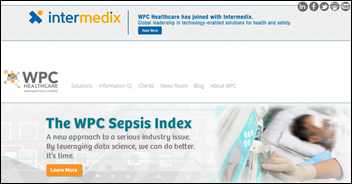 Data analytics company Intermedix acquires Nashville, TN-based WPC Healthcare, bolstering the predictive analytics division it created in 2015. WPC CEO Ray Guzman will join Intermedix, also based on Nashville, as SVP of strategy. Predictive analytics investments continue … Boston-based OM1 secures $15 million in a Series A round led by venture capital firm General Catalyst. TeleTech Holdings – a global company that specializes in the vague (but presumably profitable) business of customer experience and growth – acquires Connextions from OptumHealth for $80 million. Connextions, which offers tech-enabled member acquisition and retention services, will be folded into TeleTech’s Customer Management Services division. Drchrono raises $12 million in a Series A funding round led by Runa Capital. Efforts to eschew becoming a healthcare company don’t stop Alphabet from hiring healthcare tech talent. Job listings for subsidiaries including Sidewalk Labs, Calico, and Verily indicate strong interest (and compensation packages) in computational biologists, robotics experts, and researchers. The Google parent company has already pulled Tom Insel, MD away from heading up the National Institutes of Mental Health, and Jessica Mega, MD from Harvard Medical School. 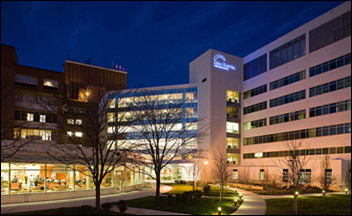 Sinai Hospital (MD) will roll out predictive analytics from PeraHealth this summer. Appalachian Regional Healthcare (KY) will begin implementing Meditech’s Web EHR later this year. Stuart Long (Monarch Medical Technologies) joins InfoBionic as CEO. I2I Population Health names Dawn Berg (Assist Consulting Group), Scot McCray (CamCare) (not pictured), and Jay Wilkes (RyMir Consulting) to its sales team. Adam Ackerman (Relatient) joins the company as director of client development. Medecision hires Donald Casey, Jr. MD (Alvarez & Marsal) as chief clinical affairs officer, and Ian Chuang, MD (Netsmart) as SVP and chief analytics officer. Erik Phelps (Epic) joins genetic testing and data analysis startup Tempus as EVP and general counsel. 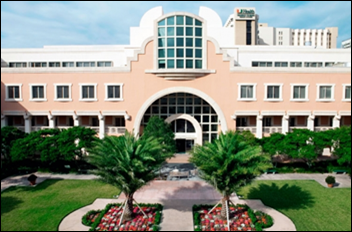 Sylvester Comprehensive Cancer Center (FL) selects oncology data-sharing technology from Syapse as part of a new precision medicine initiative. The NJSHINE HIE connects to the Camden Coalition HIE, launched in 2010 by the New Jersey-based Camden Coalition of Healthcare Providers. Adirondack Health (NY) will equip local public health agencies and their patients with remote monitoring and videoconferencing services with help from Health Recovery Solutions and the Hixny HIE. Iowa-based Mercy ACO selects Innovaccer’s Datashop data warehouse to aggregate health data from 65 participating facilities including ambulatory sites, hospitals, and payers. 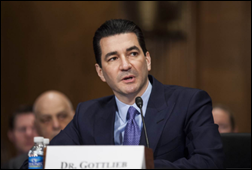 FDA Commissioner nominee Scott Gottlieb, MD pledges to uphold the agency’s “gold standard of safety and efficacy” during his confirmation hearing before the Senate HELP Committee. He also stressed that there are ways of modernizing and expediting clinical trials without compromising safety, adding that addressing the opioid crisis and speeding generic drugs to market will be two of his top priorities if confirmed. Efforts in Missouri to implement an opioid prescription drug monitoring database take one step forward then two steps back when vocal PDMP senatorial holdout Rob Schaaf announces he will finally support a bill authored by proponent Rep. Holly Rehder on the condition that physicians must register on it. 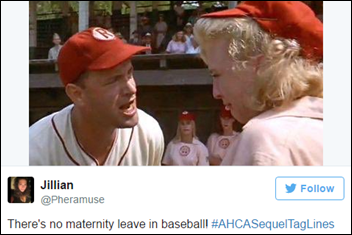 The Missouri State Medical Association, however, was quick to tweet its opposition. Behavioral Health Center (ME) discovers that 4,500 records from between 3,000 and 3,500 patients have been stolen and sold on the dark Web. The Washington Post sensationalizes a Mayo Clinic study published in the Journal of Evaluation in Clinical Practice that found 20 percent of patients who asked for a second opinion had been misdiagnosed by PCPs – a result the WaPo author admits is “generally similar to other research on diagnostic error.” The retrospective study of 286 patients found the second diagnosis to be “distinctly different” from the first in 62 cases, the same in 36 cases, and partly correct in the remaining 188. 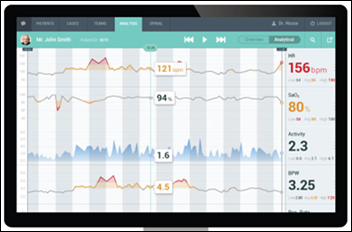 Medable develops Cerebrum, machine-learning technology that aggregates health data from a variety of sources to better power smartphone apps like Apple’s HealthKit and CareKit with disease predictions and treatment. After a recent hospital stay filled with slamming doors and beeping medical equipment, ambient electronic musician Yoko Sen proposes using sound design to reduce alarm fatigue and make hospitals calmer places for patients. She has created a “tranquility area” at Sibley Memorial Hospital (Washington, DC) that offers staff green tea, reclining chairs, soothing music, lavender scents, and projected images. A similar area for patients is under consideration. 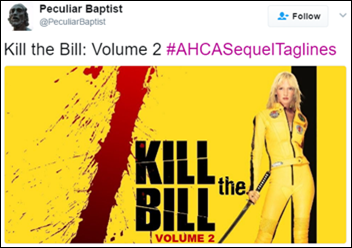 @HuffPostComedy urges tweeters to share #AHCASequelTagLines. Legislators seem unlikely to reach any sort of compromise on the rumored resurrection of repeal and replace efforts before they adjourn for a two-week recess. Intelligent Medical Objects will exhibit at the Allscripts Northeast Pro ARUG April 7 in Hartford, CT.
MedData introduces an app to help providers keep better tabs on patients suffering from binge-watching illness. The Atlanta Journal-Constitution recognizes Navicure with its Atlanta Metro Area 2017 Top WorkPlaces Award. Netsmart is the first and only behavioral health EHR vendor to achieve ONC 2015 Edition Health IT Module Certification. Nordic Consulting presents what employees love most about the company. CloudWave will exhibit at the HIMSS New England Conference April 11 in West Lebanon, NH. Experian Health will exhibit at the HFMA NorCal Spring event April 12-14 in Sacramento, CA. GE Healthcare adds the CareFinity business continuity and archiving solution from EMedApps to its Centricity Partner Program. Wonder whether it’s “HIPPA” compliant.